Named after Henry Grattan MP (1746-1820) and opened in 1874. The original bridge on this site was built in 1676 and called Essex Bridge after the Lord Lieutenant Arthur Capel, Earl of Essex and was developed by Sir Humphrey Jervis. Fourteen years later severe flooding washed away a large part of the bridge so it was strengthened and repaired. Later in 1722 a statue of George I on horseback was placed on the bridge – this was removed during another rebuilding in 1753 designed by George Semple. The current bridge has been widened with cast iron supports extended out from the stonework so as to carry wide pavements on either side of the roadway. 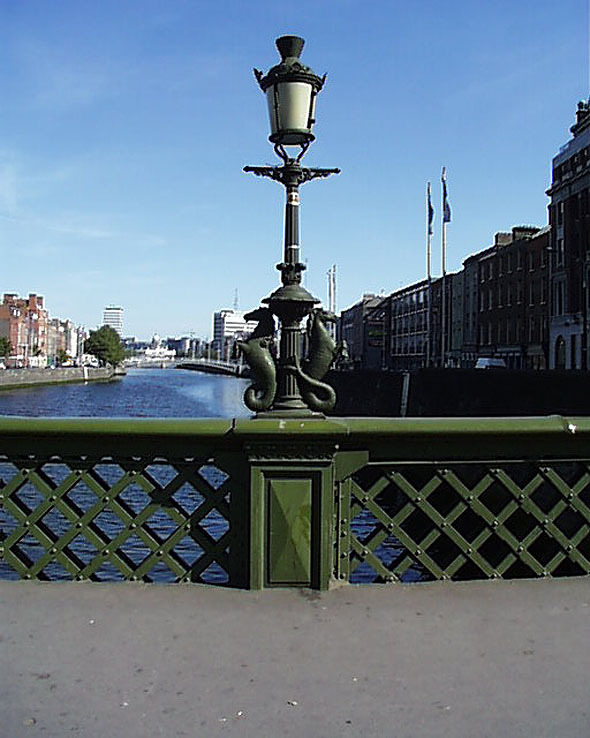 The bridge is lit by ornate lamp standards also in cast iron.